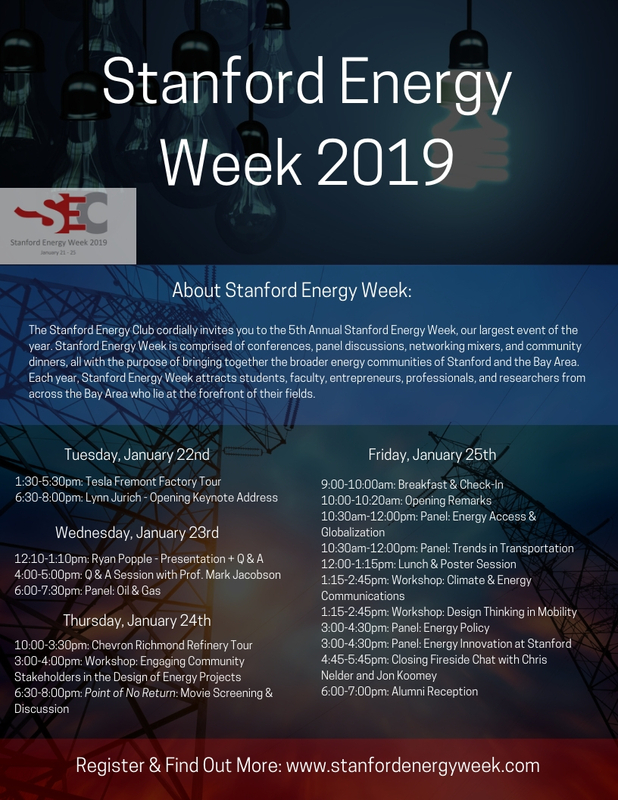 The Stanford Energy Club's Energy Week 2019 will be held January 22 - 25. 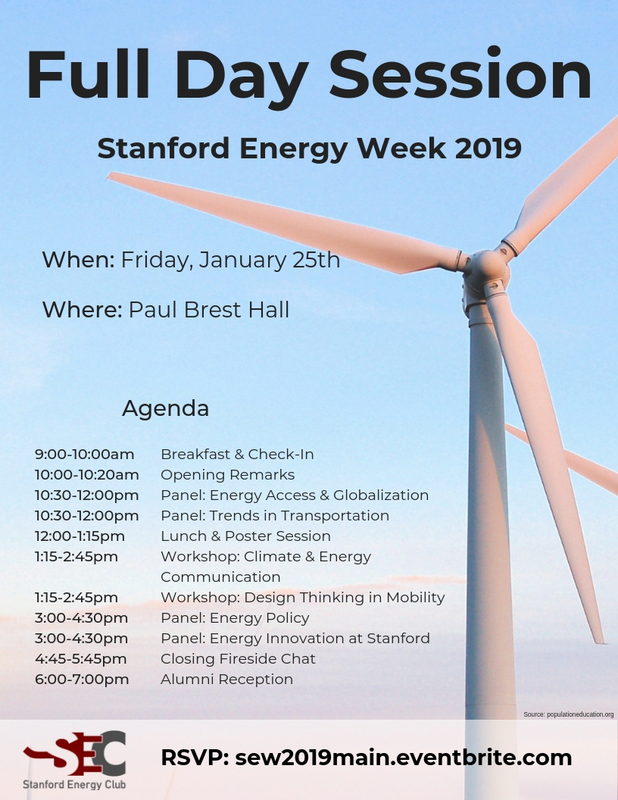 The Stanford Energy Club invites you to the 5th Annual Stanford Energy Week, our four-day conference bringing together students, academics, and industry leaders at the frontier of energy. 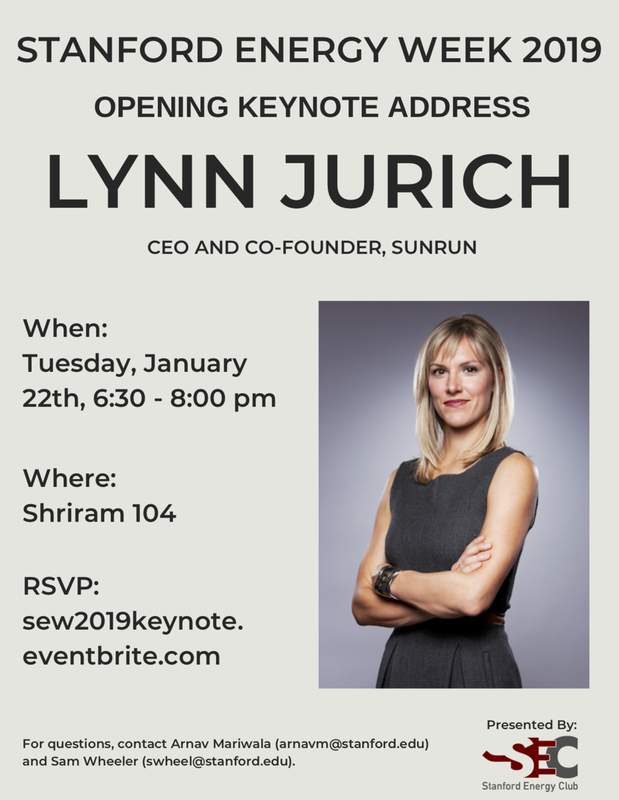 To learn more about the Stanford Energy Club, or get in touch with us, click here.